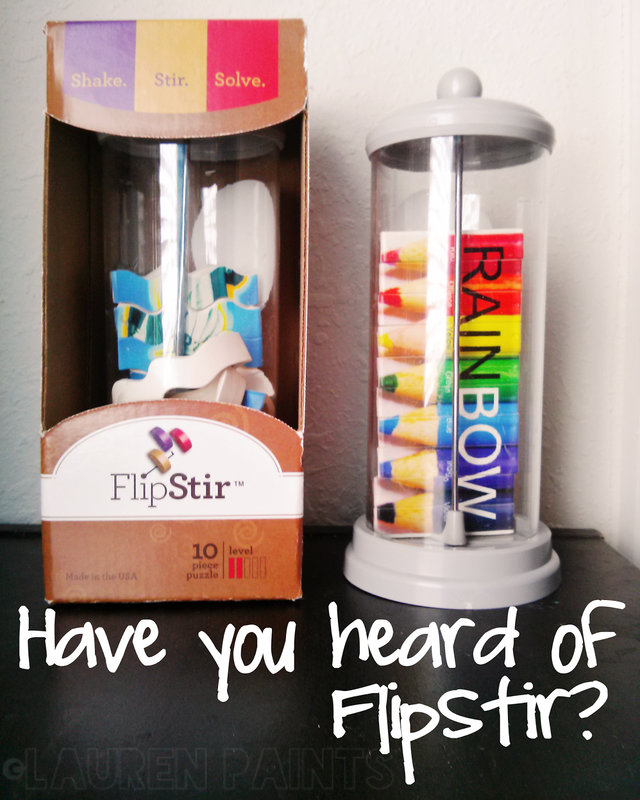 Have you heard of Flip Stir? 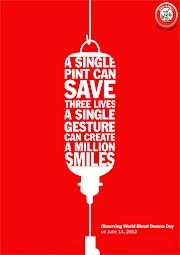 and they are a great conversation starter. 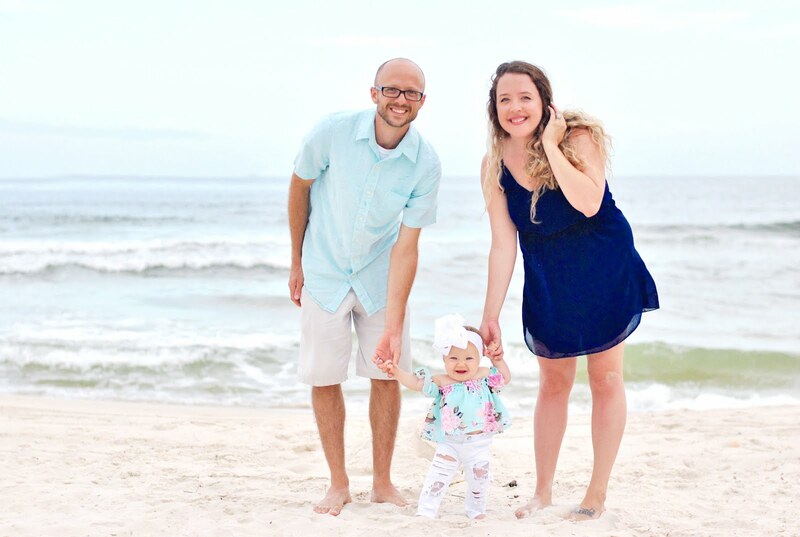 I'm ready to share the #FlipStirFun with you. I was pleased to find the toys were difficult enough to keep me entertained but not as overwhelmingly tough as other games *ahem, flappy bird whichever trendy mobile game comes out next*. Challenging yet fun, the perfect mixture! 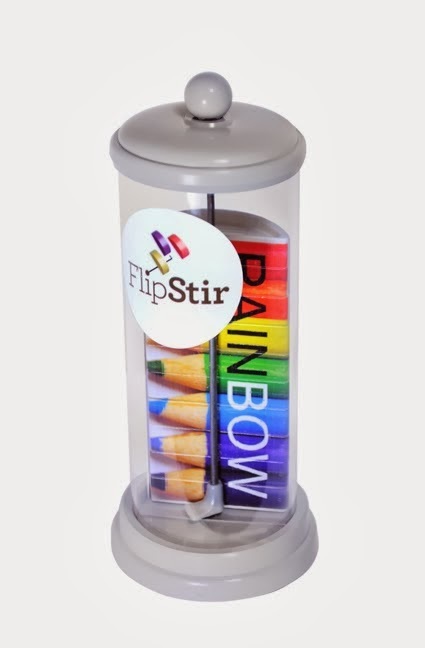 You'll be glad to hear FlipStir requires no batteries, no parts to put together, it's just straight out of the box fun... Plus, I love how simple the design is and how clean and modern they look. These toys will be a great addition to anyone's collection, they are fun and different - a few house guests have already had the joy of playing with these and they were thrilled once the puzzle was complete... It's a lot of fun to see the artwork after spending a little time assembling it. 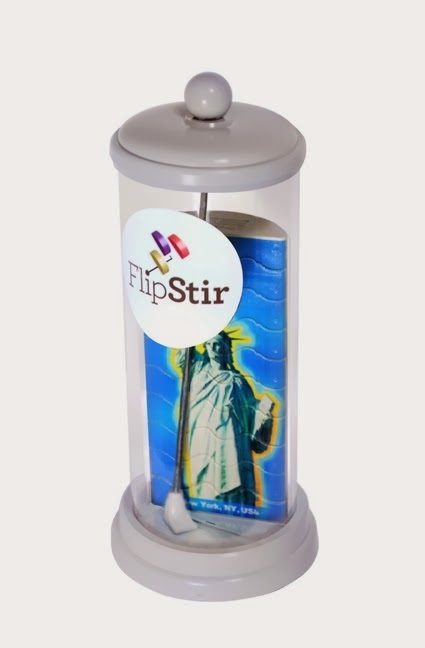 Speaking of artwork, I was sent the rainbow color pencil FlipStir and the Statue of Liberty FlipStir, both have brilliant graphics as you can see in the pictures. I'm sure they will continue to impress! If you want to play with these, you simply pull the wand up, shake the puzzle to mix up all of the pieces. Then using the wand, you can manipulate the pieces to assemble the puzzle. No rules, just pure fun! You just use the wand, gravity and your own cleverness to solve the puzzle and reveal the artwork. These little toys could be an essential tool in the development of your child, something so simple could help them in the future with hand-eye coordination as well as the ability to "think outside the box". 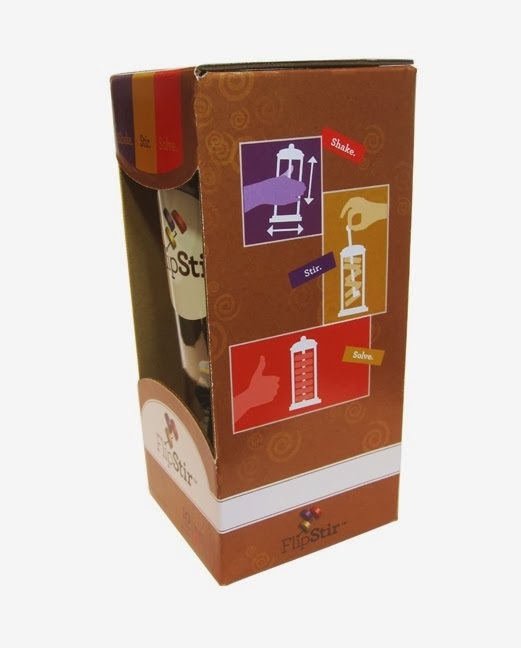 They are shown to improve the development of motor skills and problem solving. Not only are they helpful in the development of these skills, they offer a way to interact with children, possibly teaching them more about colors or monuments like the Statue of Liberty... or providing the opportunity for some quiet contemplation as they figure out which pieces belong next to each other. I could also see these used in a classroom setting, especially during "quiet time" or a rest period, these would be a good way for kids to keep entertained while still gaining knowledge and skill. Plus, they are such a clean and organized toy. As you can probably tell from the pictures above, the FlipStir is a self contained puzzle, so no more searching for missing puzzle pieces... The joys of not having to clean up, especially in a classroom after 20-25 students! AHHHH! :) Also, I want to note these may be good in a LD setting as well, I could see them used with a variety of different students at different levels and could help some students that don't necessarily get to partake in other types of play or games learn to enjoy themselves. it's unique design and fun graphics deserve two thumbs up! plus bonding over a love of puzzles or toys sounds like a good start. 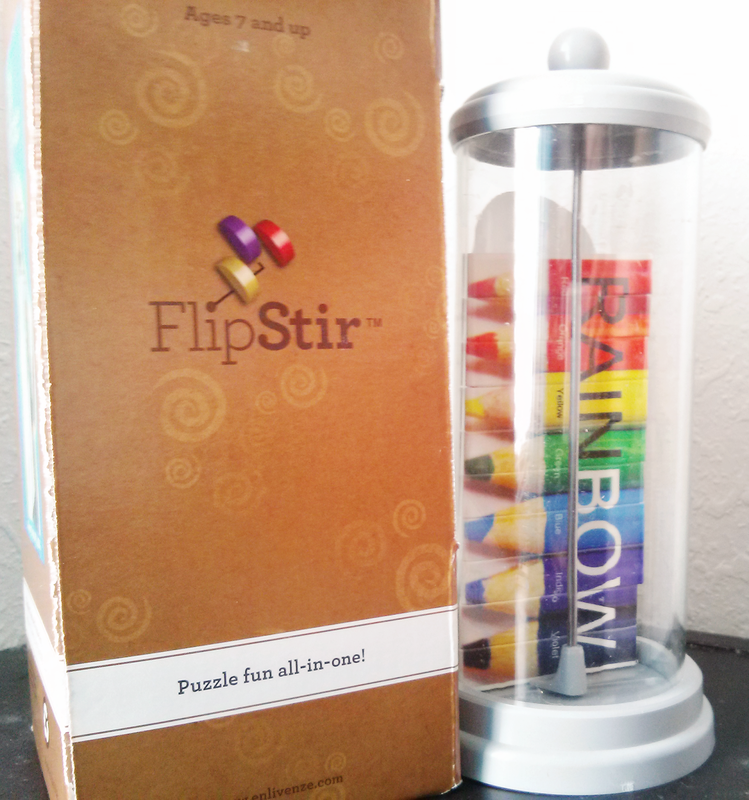 Are you interested in having some #FlipStirFun? You can learn more about these fun toys by clicking here.